Featuring a single USB-C port and triggering some serious security concerns from all the corners of industry, the new MacBook is possibly one of the most sought-after gadget this time of the year thanks to its immense portability. The thinner form and lighter weight will make this MacBook the best for travelers and the people in business. We have already shared the first ever 2015 MacBook unboxing video published on a Vietnamese site. 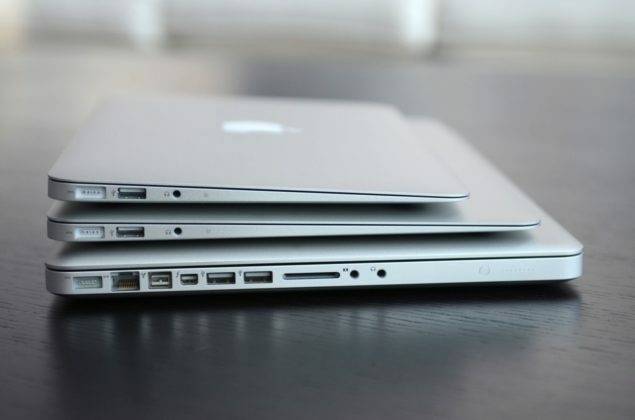 It is only expected to follow that with a comparison of the upcoming MacBook with the MacBook Air. This 2015 MacBook vs MacBook Air comparison video comes through an unlikely source – a Ukranian website that has so far remained unseen at least on the international tech industry but what a comprehensive video they have created. Our only complain? There are no subtitles and we are hoping the site will rectify this miss before the release on Friday. Hopes. While you may not be able to understand the language, you’d still manage to see the differences between the two MacBooks. Let us know how you feel about the new MacBook.